Opportunists are trying to make a quick buck from impatient VR fans. They're selling new Oculus Rift and HTC Vive headsets on eBay for hundreds more than retail prices. 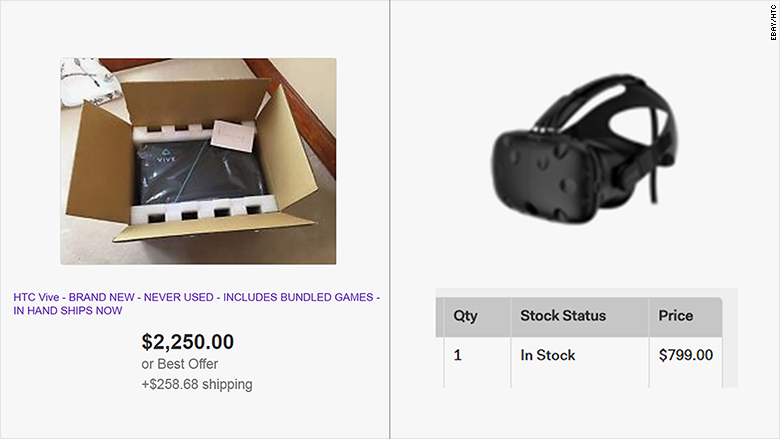 The highest listed asking price for the HTC Vive is $2,250 -- plus $258.68 in shipping. An Oculus Rift bundle will set you back $1,890. The companies started pre-order sales earlier this year for $800 and $600, respectively. People who pre-ordered the Oculus Rift in late January expected to start receiving the devices at the end of March. 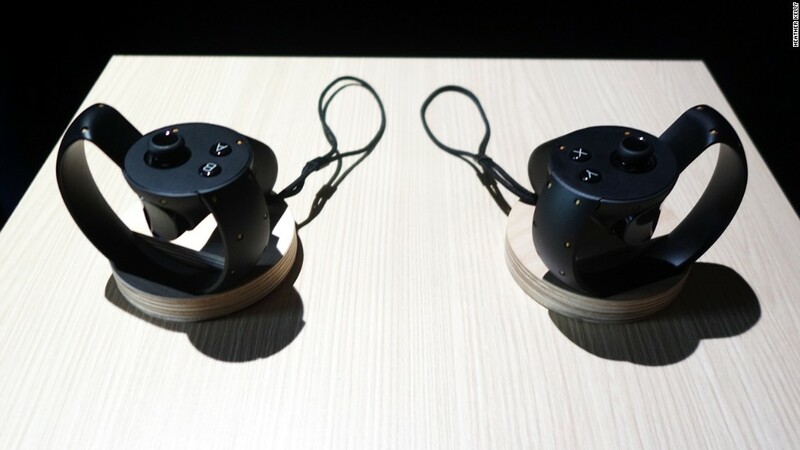 But due to component supply problems, Oculus pushed back estimated ship dates, causing angry customers to vent online. In a statement last week, the company said that "many Rifts will ship less than four weeks from original estimates, and we hope to beat the new estimates we've provided." The expected ship date for new U.S. orders is August 2016, according to the Oculus website. HTC says it expects to ship new orders of the Vive devices "around June 2016." The company started pre-orders at the end of February, and the expected ship time for those buyers was April. On Tuesday, HTC said its April shipments were all on track. Having tried both the Rift and the Vive for a few minutes each, I have to say that I like the Vive better. The Vive lets you move around a room (I got to draw in 3D and shoot at aliens and duck when they shot at me) whereas the Rift, like other VR headsets, requires you to stay relatively in the same place. Both systems require powerful PCs to run, which can cost at least $1,000. But don't worry -- eBay (EBAY) sellers have you covered there too. There are at least three Oculus-ASUS and Alienware bundles for sale from $2,000 to $2,668. Earlier this year, Dell offered its own deal on a PC-VR package for about $1,600.